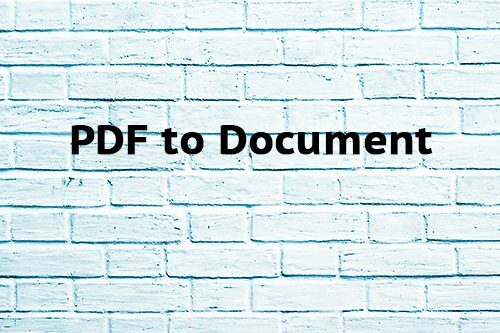 You need support to convert your PDF to DOC? We are here to help you. If you don’t know or don’t have the right software to convert your PDF into a good document quality, you are at the right place! Our senior Designer redesigns your PDF into a Word document for a very small amount! Afterward you are able to edit your PDF document and make all the modifications you want. It’s cheap, it’s easy, it’s Low Cost Web Agency! Our gig is limited to document of maximum 20 pages. If you have more pages, buy more gigs.